Those cravings that come from late night study sessions. 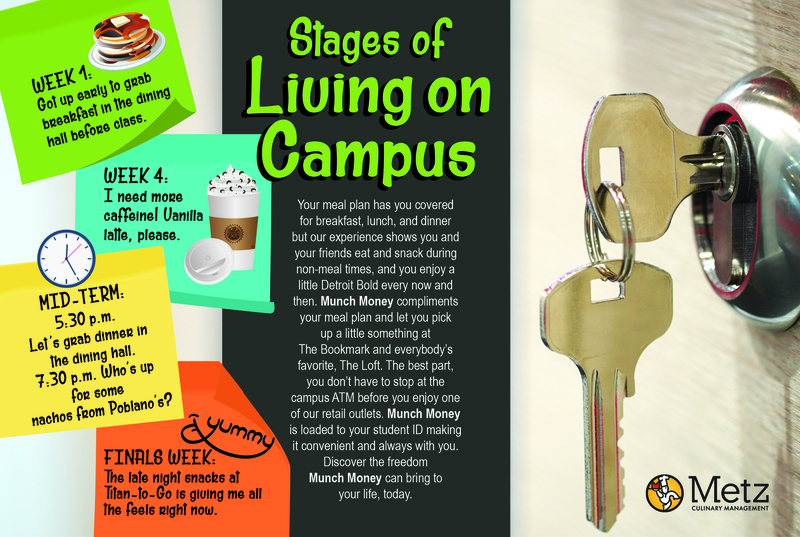 Residential fees include meal plan options listed below based on your residential hall. Any unused Flex Dollars at the end of each semester shall not carry over into the next semester. Additional Munch Money may be purchased through the semester by contacting Metz Culinary Management. Any unused Munch Money does carry over to the next semester.